Dept. 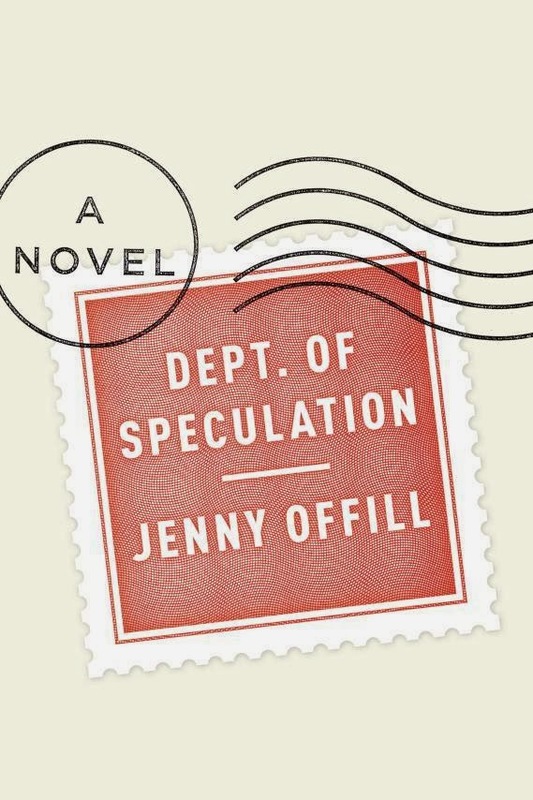 of Speculation, by Jenny Offill: This book only came out on January 28th, and I'm already calling it one of my favorites of the year. Told as a series of vignettes and interspersed with quotes on life, philosophy and love, the novel's structure is unique--but that allows it to tell an otherwise mundane story of marriage, parenthood and infidelity in a way that feels entirely fresh. Read my full review of Dept. of Speculation, and make sure to get yourself a copy sooner than later. 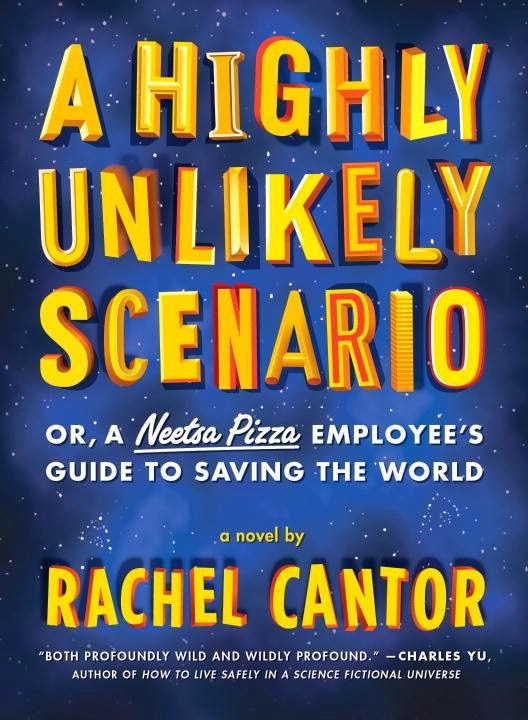 A Highly Unlikely Scenario, or, A Neetsa Pizza Employee's Guide to Saving the World, by Rachel Cantor: I first heard of this book on the Twitter somewhere, and I'm so glad I acted on whatever tip it was that pointed me towards it. This is an odd little book, set in a world of fast food chains and corporations that is hard to grasp at first. Once I let go of my expectations and decided to just go along for the ride, I found a heartfelt, if quirky, tale of love, family, and, you know, saving the world. Downright original. 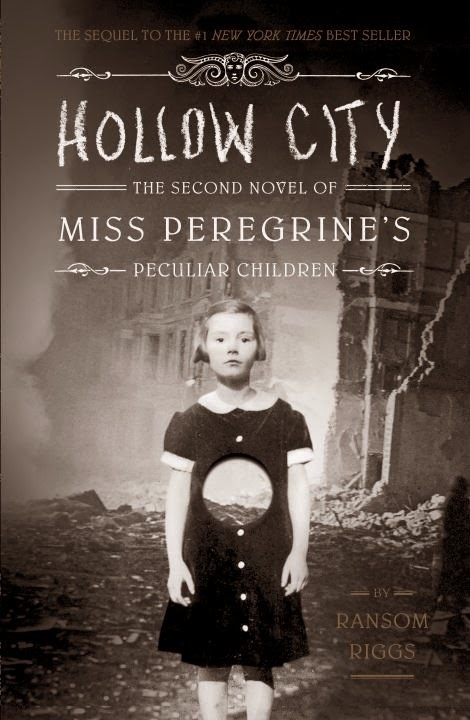 Hollow City, by Ransom Riggs: If you've read Miss Peregrine's Home for Peculiar Children, you already know you're in for a treat with Riggs' second novel of the Miss Peregrine series (and if you haven't read Miss Peregrine's Home for Peculiar Children, get on that, stat). Hollow City continues the story of Jacob and his peculiar friends as they flee the monsters that threaten the entire world, and, like the first volume in the series, combines thoroughly entertaining storytelling with a collection of vintage photographs. And yes, it does end in another cliffhanger, so we can (hopefully) expect more from Riggs in this vein. The Invention of Wings, by Sue Monk Kidd: I've long been a fan of Kidd's writing (if you haven't read The Secret Life of Bees, set aside whatever you think you know of the book and go on and read it). 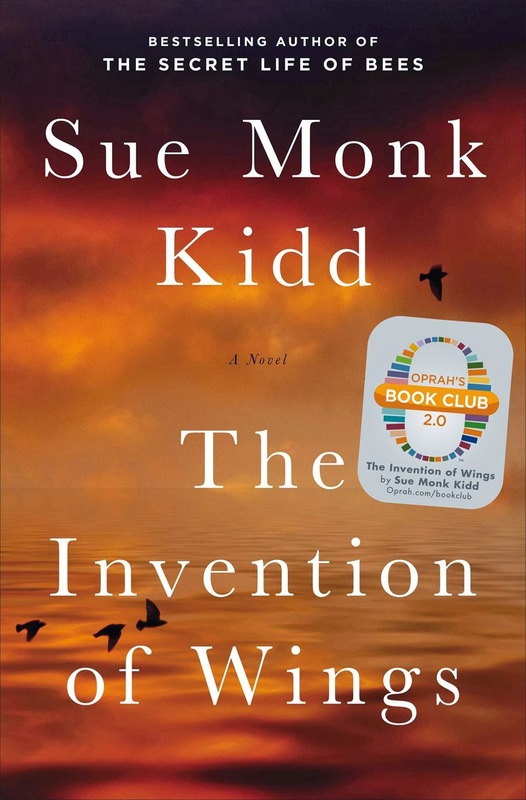 The Invention of Wings was picked as Oprah's latest 2.0-or-whatever-it's-called book club pick, which means it doesn't need too much more pushing to find its way into readers hands, but let me just add: If you tend to steer away from Oprah's picks, let this be the exception to that rule. Kidd's retelling of the historical story of two abolitionists in 19th century America is heartfelt and important, and, like her past work, generally incredible. I'm keeping Dept. of Speculation on my Best Of list, too...so good. I really think I need to add A Highly Unlikely Scenario to my reading list, it sounds like something I'd love. It's a fun romp, if I may call it that! What a great month! I already had Cantor's title on my wishlist, but sounds like I need to add Dept of Speculation too. YES! Dept of Speculation is so so so excellent. I can't believe how much people are loving The Dept. of Speculation! Must read, must read, must read. Must read indeed (look, I made a rhyme!). It's fabulous. So many wonderful things have been said about The Dept. of Speculation. And The Invention of Wings is high on my priority list! Have a great February!! The Invention of Wings was a good one. I love Sue Monk Kidd's work. I keep forgetting the new Ransom Riggs book has come out! I need to get that next time I'm at the library -- I love how beautifully illustrated the books are, and I enjoyed the first one. Yesss! If you enjoyed the first one, the second is definitely a treat. I'm about to start Sue Monk Kidd's new book. I've heard generally good things about that one and it looks like a fast read, which I could use right now. I actually wasn't a big fan of Dept of Speculation, but I admired what she was trying to do in that book even if I didn't find her particularly successful. The Invention of Wings is definitely fast - not short, but it moves quickly. I think yours is the first dissenting opinion I've heard of Dept of Speculation! Always good to hear multiple perspectives, though. I fell head-over-heels in love with it from round about page 2. It goes by so fast, and yet I found a lot to pause on. Really excellent reading.